Women's jacket in double fabric for maximum comfort the whole day long. 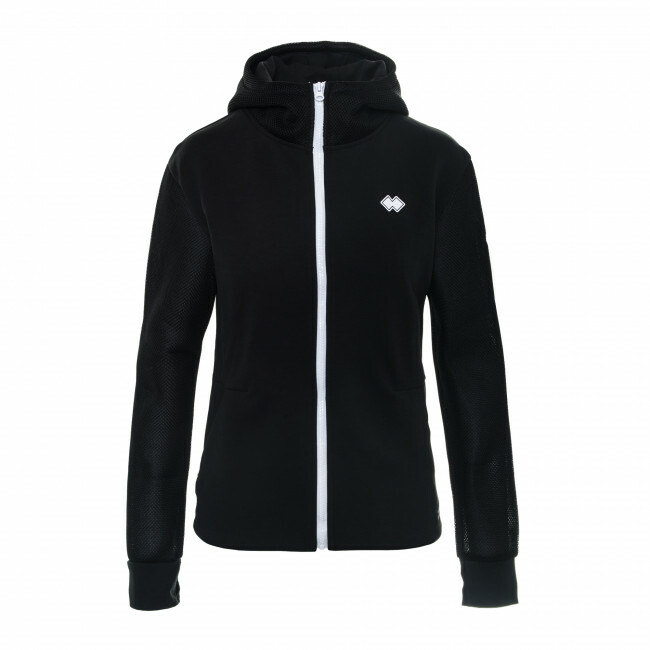 The sleeves and hood are made from Mesh fabric to guarantee breathability. The stretch fabric of the body guarantees maximum freedom of movement. Made with elasticated cuffs with thumbhole for a snugger fit. Composition: Uni Fabric 100% Polyester (body), Mesh 100% Polyester (sleeves and hood).